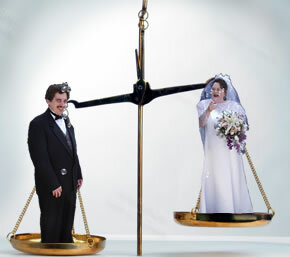 McCLURE WOMAN WEIGHS LESS THAN HUSBAND! In breaking news, Paula Wray has just learned that she now weighs less than her husband for the first time in their 9-year union. Donald Reed reluctantly admitted this during their evening walk under persistent questioning. He fears his wife will make good on her promise to sit on his lap two days after his hernia surgery. Stay tuned for further developments.